Style, craftsmanship, and functionality join forces in this Pterodactyl folding knife from Bestech Knives. 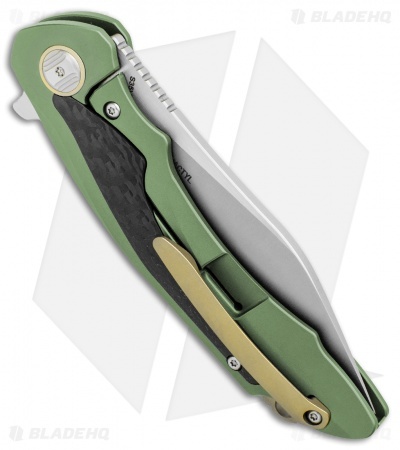 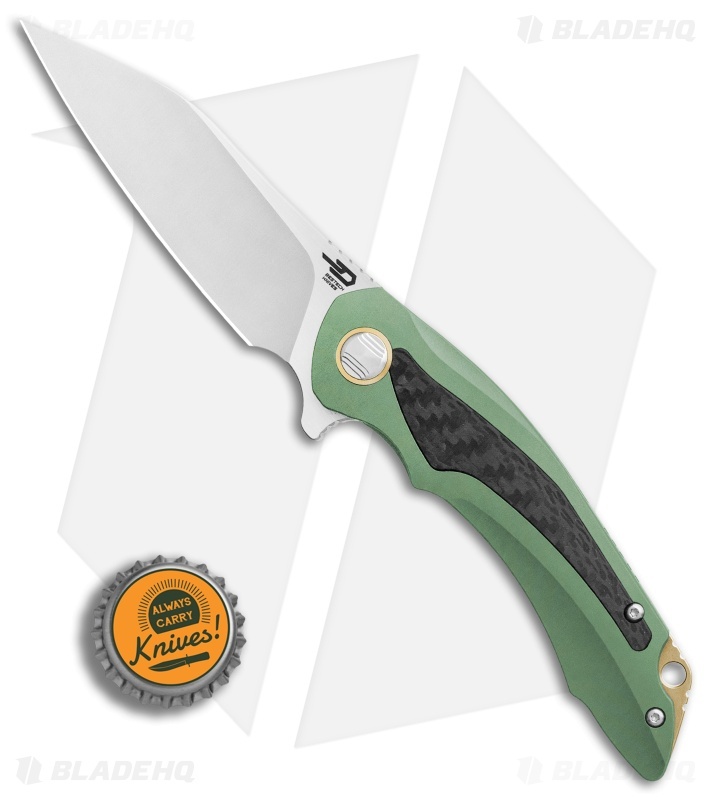 This Pterodactyl is built out with a green titanium handle and a satin finished blade. 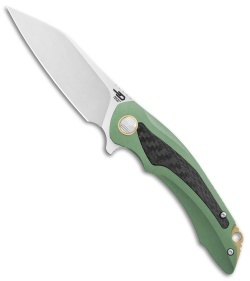 Carbon fiber inserts on either side of the handle add distinction to the design. The contoured handle provides a high performance grip, with thumb rest jimping for added blade control. Item comes complete with an anodized backspacer and pocket clip. 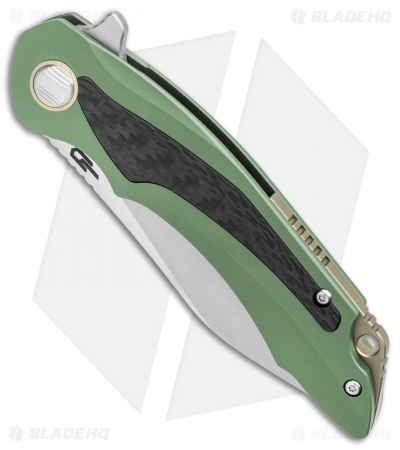 CPM-S35VN blade steel provides excellent sharpness and edge retention. 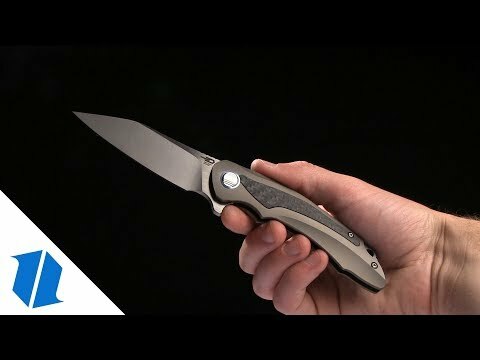 Titanium frame lock with a steel insert for secure blade lock up. Item includes a titanium clip for tip-up pocket carry.